Another year has come and gone which means it’s once again that time when you feel like your apartment home needs a refresh. Fear not, because we have collected all of the apartment trends for 2018 in one place just for you to make sure you are in the know about what is looking hot right now. Whether you want an entire apartment re-do or you just want to swap out a few stale accessories, we have the scoop on what everyone is predicting will be the big bad wolf of décor trends in 2018! 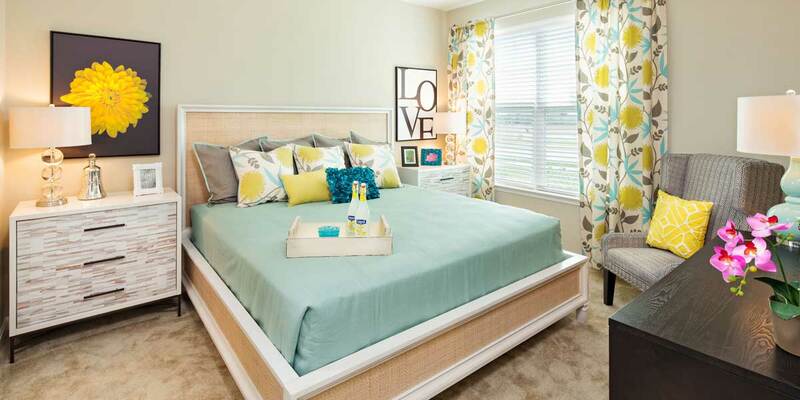 If you have been to our model apartment home here at Arcadia Run, you know that we love the color yellow. It is truly one of those colors that can brighten up any room and put you in a good mood whenever you walk in! If it’s too bright or loud for you, go for a pastel shade or include yellow hues in accents throughout your apartment instead of a large piece. We know that there are many people who wish that style from the 70’s never came back, but this year, we are putting a modern twist on the classic trends from this decade. Earthy and olive tones, fuzzy rugs, wood, and lots of plants are sure to make a resurgence in the popular home goods stores. One of our favorite places to find this style is over at CB2, Crate & Barrel’s more modern younger sibling. The ultra-modern furniture silhouettes and gold-focused accessories will give any space a luxe look straight out of a modern-day Italian loft. Although some of the more traditional designers will say that mixing patterns is crazy, we think it’s a great way to create a fun living space. The trick to pattern is choosing specific color schemes that are found throughout all of the textiles in your apartment home. This Japanese inspired design can make your apartment home even more of a relaxing space. Think spa meets sushi restaurant when it comes to the details. Woven textures, lots of candles, and ancient-looking vases are some of the key elements when looking to incorporate this trend. If you’re ready to find your perfect apartment home to decorate with the latest trends, visit us at Arcadia Run in Manassas, VA today!